Special thanks to a sharp-eyed reader who pointed me to this notice that 6-1 187 pd kicker Igor Garcia will join UMass football this fall. Garcia is a Rivals two-star player. Garcia was recruited by Michigan. 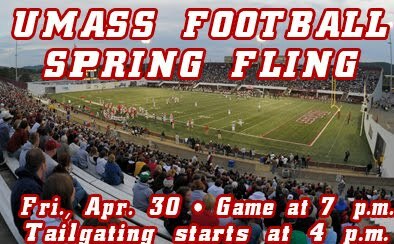 Hope to see a lot of Blog people at the UMass Spring Game tonight. Looks like the weather is going to good. Holy Crap! 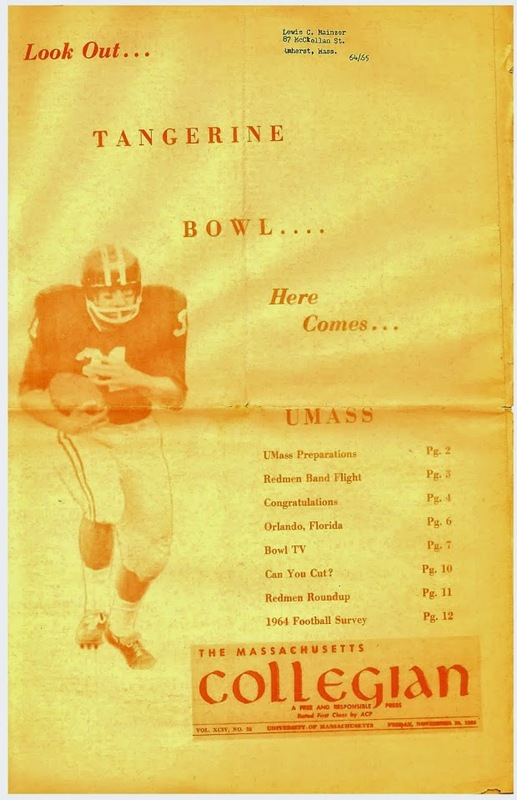 Ron Chimelis has an actual article from UMass' Top Secret spring football. Matty Vautour reports Kyle Havens says he has a lot to prove. The Boston Herald has another article on Vladimir Ducasse. The New York Post says all eyes will be on Ducasse at the Jets mini-camp. More from the Stamford Times. The Albany Times-Union mentions Jeremy Horne's signing with the Kansas City Chiefs. More on UNH's Scott Sicko's changing his mind. Stanley Aguh a 5-10 172 pd DB/WR from Windson, CT will join UMass football as a walk-on this fall. Aguh was All-Conference and Hartford Courant All-State in 2009. His MaxPreps page is here. The Springfield Sun-News says the free agent that sticks out among Cincinnati's signings is Jeromy Miles. Ryan Izzo talks about his choosing lacrosse over football. ESPNU has an article about a couple of Massachusetts High School players who will be seniors this fall. Jack Siedlecki will be the new HC at Wesleyan. He's friends with Kevin Morris and Siedlecki sat in at a UMass quarterback meeting. Craig Haley of The Sports network" wasted no time in publishing another FCS article about "Possible sleeping FCS giants in 2010"
Good Morning from snowy Jaffrey. The weather service is calling for two to five inches upstate. Tony Nelson has tryouts with both Washington and Cleveland (last paragraph). Chris Shores of MassLive.com says Vladimir Ducasse may be in line for a starter's role with the Jets. Scott Sicko's holdout didn't last long. He signed a free agent contract with Dallas. Craig Haley has apparently taken over the FCS post at "The Sports Network" from David Coulson. His first FCS article about FCS players taken in the draft is here. Over on the "Smart Football Blog", former UMass coach Jerry Gordon has an article on defending the I-formation (includes some UMass references). The CAA blogger has his latest post on CAA Spring football here. He also has a list of undrafted CAA free agents (up to the 27th) at the end of this article. I am sad to report that a couple of MIT scientists have discovered a fatal flaw in invisibility cloaks. Don't buy an invisibility cloak without reading this first! 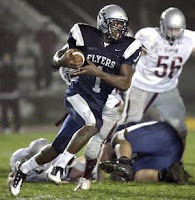 UMass QB recruit Brandon Hill will be playing in the NJ Vs Northeast Football Classic on 06/06/10. The Classic's website has a video interview with Hill here. Victor Cruz is mentioned in this post by Northjersey.com about NY Giants free agents. BigBlue.com, a Giants fan blog has a post on the eleven free agents (including Cruz) and the 23 tryouts invited to the Giants mini-camp. 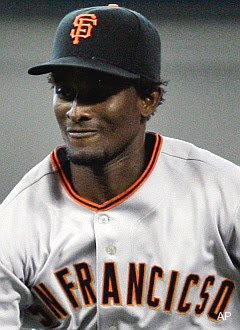 Besides Cruz, Dominic Randolph of Holy Cross and Seth Williams of Richmond received free agent contracts from the Giants. The Brownsville Herald has another mention of Cruz (scroll way down) including his career stats here. Chris Zardas is mentioned in this article by Eaglesmix.com. New York Sports has a story on the NY Jets that mentions Vladimir Ducasse. SportsNYTV.com discusses the Jets rookies including Vlad. Nepatriotsdraft.com has an updated list of all NFL free agent signings. More on UNH's Scott Sicko refusal of a free agent contract. The usually UMass-friendly Boston Herald is doing a lot better than the usually UMass-hostile Boston Globe. The Salem News features Kyle Harrington's tryout with the Chicago Bears. Good luck Kyle! The Same newspaper feaures Chris Zardas' free agent signing with the Philadelphia Eagles. NorthJersey has a story about Victor Cruz's signing with the Giants. Jeremy Horne is one of 11 free agents signed by the Chiefs. The Albany Times mentions Horne and Ducasse. Jeromy Miles is mentioned in stories here, here and here. The Epoch Times says Vladimir Ducasse will likely see playing time in week #1 of the Jets regular season. CBS3 has video and a story on Ducasse. The New York Post also has a story about Vlad. The Wall Street Journal says the NFL draft drives economists crazy. UNH's Scott Sicko says the heck with it. Victor Cruz signs with the Giants. Jeremy Horne with Kansas City. Jeromy Miles with Cincinnati Bengals. Kyle Harrington has a tryout with the Miami Dolphins. Chris Zardas signs as a free agent with Philadelphia. ABC 40 has story on all five here. The Boston Globe mentions all five plus other New England players who will be in NFL camps here. Four CAA seniors were taken on the last day of the NFL Draft. Nineteen FCS players were chosen in the 2010 NFL Draft, including Tim Toone 255th (last player chosen). OK after two days of no problems with the WiFi at the motel, I had no connectivity yesterday or today. I'm now back at the controls of Blog Central and will try to catch up. Matty Vautour on Ducasse's signing here. New York Daily News: Jets could cash in with Ducasse. The New York Times says Ducasse will probably play guard for the Jets, if he plays at all. The Gray Lady is out of it as usual. Read the Stamford Advocate instead. Ducasse meets with Jets, Ryan. The Jets release pro bowl guard Faneca; stories here and here. UMass athletic site says Ducasse is the second highest UMass draft pick since 1968. NFL Draft tracker has the Jets taking Vladimir #61. Boston Globe has story here. RotoWorld says Jets steal Ducasse at #61. Probably a lot more coming tomorrow. Home Town Annopolis talks about Jeromy Miles' chances in the NFL draft. Matty Vautour has an article about Miles and the NFL draft here. Another Bleacher Report article on FCS teams ready for the FCS-----and UMass is one of them. Pro Football Weekly talks about Vladimir Ducasse as being one of 10 seniors who helped themselves. The Bleacher report looks at FCS conferences that could expand. Former Rhode Island and Georgia Southern HC TimStowers is offensive coordinator at CCSU. Delaware's Pat Devlin does not regret transferring from Penn State. Transfers from Northeastern are thriving at Delaware. The latest version of the CAA's Spring Football Blog is up. Whoa! I do have a connection! Vladimir Ducasse has four articles this morning: Stanford Advocate, WEEI ,MassLive.com and Stamford Times. Matty Vautour says Ducasse is awaiting the NFL Call. He also has UMass players in the NFL Draft. UPDATE: Thanks to the kind reader who pointed me to this article in the Salem News about Kyle Harrington and the NFL draft. Another Bleacher Report UMass-to-the-Big-East article. The Sports network has an article on FCS players hoping for the NFL call. I might update this post later this evening. Gotta go now. Mrs. Blog and I will be taking a long weekend up in Maine starting tomorrow. Previously, the place we are staying did not have WiFi. This year, their website says "WiFi in selected areas". If I have some downtime and a signal, I'll try to update the Blog once or twice. If not, I'll be back on Sunday evening and will resume regular publishing at that time. The Boston Globe says Vladimir Ducasse is ready for the next level. Rich Gosselin has Vlad as a "top 100" pick in the NFL draft and includes a capsule on him. Pro Football Weekly has Ducasse as the #5 rated OT. TampaBay Online has Jeremy Horne as a potential free agent or late draft pick. The UMass Football coaching staff will host two clinics for high school players on June 13th and July 30th. Call UMass football at 1-413-545-2026 and ask for the Clinic Director to gain more information. A Bleacher Report story says Pro Football Weakly has Armanti Edwards as the #5 QB available for the draft. I can't see pro football teams being interested in the 5-11 Edwards as a QB. I can see him drafted as an "athlete" and then trying to see if there is a way to get him on the field as a receiver or special teams player. A Syracuse blog says the Big East should let UMass join if we upgrade football. A Bleacher Report article names Vladimir Ducasse as one of the "Top 10 non-BCS" players in the NFL Draft. More Vlad NFL mentions here and here. The Sun-Chronicle mentions Jeromy Horne and Victor Cruz as possible NFL free agents. CantonRep.com mentions Jeromy Miles as one of the top free agent safeties in the draft. Miles gets another NFL draft mention here. Future CAA league member Georgia State drew over 3,000 to their first ever spring game. The Panthers better practice hard because the last game of their inaugural season is @Alabama, who drew 91,312 Tide fans to their own spring game. Highlights from Michigan's Spring game here. The Sun-Chronicle mentions UMass' Jeromy Miles in this article about potential NFL DBs. A couple more Vladimir Ducasse articles: Bills here, Browns here. William & Mary's defense dominated in the Tribe's spring game. Another recap of William & Mary's spring game by the CAA. Boston College's LT Anthony Castanzo has been nominated for a Rhodes Scholarship. In the seemingly zillions of articles about Vlad, this one by Ray Didinger of CSNPhilly.com stands out. The Sun-Chronicle mentions Vladimir Ducasse in an article about the Patriots. Alex Blane of North Andover chose UNH over the Minutemen. His Wildcat bio is here. The Denver Post has an NFL draft article on Appalachian State's Armanti Edwards. Former North Carolina QB Mike Paulus talks about his move to William & Mary. 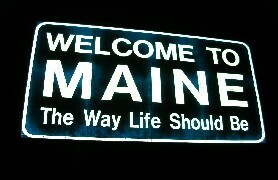 It's a cold and rainy morning here is the great Granite State. It snowed enough to cover the grass last night. This article from the Sun Chronicle mentions Chris Zardas as a potential free agent pickup for the Patriots. Packernews.com rates Vladimir Ducasse as the third best guard prospect in the NFL Draft. 'PROP also approved a proposal that penalizes unsportsmanlike conduct as a live-ball foul beginning with the 2011 season. The change means, for example, that if a player makes a taunting gesture to an opponent on the way to scoring a touchdown, the flag would nullify the score and penalize the offending team from the spot of the foul." The loss of a TD is a really severe penalty. Players will have to keep their heads if they are in the clear and on their way to the endzone. Budget troubles in Iowa led to a proposal to drop UNI football. The findings indicated no significant long term financial savings if the program was dropped. Note that in newspaper articles FCS programs are usually quoted to "cost" about $3 million. We have debated before about what are the real, as opposed to accounting, costs for FCS football. One yardstick would be the actual amount of money that would be available to apply to other school needs if football did not exist. The linked article says that amount would be saved is almost exactly what was quoted for the amount of money Hofstra could reassign after they dropped their program:$850,000. IMHO, that's a much better statement of FCS football costs. Draft Daddy has a pdf down load with their "Top 250" NFL draft prospects. Vlad and Jeromy Miles make the list. Josh Maurer and the UMass Network team have won two awards by the Associated Press for broadcasts in 2009. The latest edition of the CAA's Spring football blog is here. Note that the league officials will be meeting with Comcast Sports to work on the league's TV schedule. Our in-state OOC foe Holy Cross has announced their 2010 recruiting class. They only signed two players from Massachusetts, one each from South Hadley and Peabody. The CAA has published its 2010 composite schedule. A pdf download version is here. A look at the CAA's OOC schedule follows. The CAA had this to say: Nine of the league’s 30 non-conference tilts will feature opponents from the Bowl Subdivision classification, including four teams which participated in bowl games last season -- Villanova/Temple (Sept. 3), James Madison/Virginia Tech (Sept. 11), New Hampshire/Pittsburgh (Sept. 11), and William and Mary/North Carolina (Oct. 30). Massachusetts will also venture into The Big House to face tradition-rich Michigan (Sept. 18) in one of two CAA Football non-conference games against the Big Ten Conference. CAA Football enjoyed unprecedented success against schools from the Bowl Subdivision in 2009 when it recorded four victories over the higher level foes, making it the only FCS conference to log wins over the FBS out of the 90 contests played between the two divisions." Rhode Island: @Buffalo, @ Fordham and Brown. The Buffs were 5-7 in the MAC last year. Rhody lost to Brown last year despite having a big statistical advantage. Prediction: 1-2. Richmond: @Virginia, Elon and Coastal Carolina. The Cavs lost to William & Mary last year 14-26. Another upset is possible. Elon is on the rise and went 9-3 and had their first ever playoff appearance in 2009. The Spiders also had one of the biggest graduation losses in the CAA losing 15 starters and 39 letter winners. They did add one of the top transfers in USC transfer Arron Corp. Prediction 1-2. Towson: @Indiana, Coastal Carolina @ Columbia. The tigers beat CC last year 21-17 and should have more talent than Columbia. Prediction: 2-1. Villanova: @ Temple, @Lehigh, and Penn. The defending National Champs should be the favorites in all three of these games. Prediction:3-0. William & Mary: VMI, @ Old Dominion and @ North Carolina. VMI has struggled in FCS football for years. Old Dominion is in its second year of football. Prediction: 2-1. The Patriots Daily has an in-depth interview with former UMass safety Jeromy Miles. They also have another question-and-answer session with former UMass FB Chris Zardas. Four Vladimir articles available: two by MassLive.com here and here, and one each by Bleacher Report and Niners Nation. In addition, DallasCowboys.com has a mention of Ducasse here. If you haven't seen the YouTube video of ESPN's interview with Ducasse, it's here. Former UMass HC Bob Pickett, who passed away in February will be honored by the Maine Hall-of-Fame during its annual banquet on June 13th. Two defensive linemen from Hofstra will be helping Old Dominion improve its defense this year. Mike Huguenin of Rival.com looks at the 12 worst FBS Vs FCS matchups in 2010. No CAA team was picked. He also has an article breaking down the 57 games the FBS world will play against FCS teams this year. This year's OOC FBS team Michigan is still feeling the effects of Rich Rodriguez' tenure as HC. The Chicago Tribune rates Vladimir Ducasse the 8th ranked OT in the NFL Draft. A Terps Blog talks about the influence of Don Brown on Maryland's recruiting. Speaking of recruiting, this article talks about the number of New Jersey players who have excelled in the NFL. UMass has eight players from the Garden State on the spring roster and two recruits QB Brandon Hill and OL Ryan Young will be joining the Minutemen this fall. The NCAA will shortly approve two more bowl games for BCS teams, which will bring the total to an all-time high of 35. In long ago 1996 there were only 16 post season bowl games. To fill the slots the NCAA may have to allow teams with losing records to be bowl eligible. James Madison's football team's motto for 2010 is "Flip the switch". UMass is interested in Abou Toure a 6-2 223 pd RB from Framingham, MA. Toure had nearly a nine yard/carry average in his senior year and totaled 1,204 yds and 11 TDs. See this article. YouTube highlight film here. This article states he could grow to be a TE or DE. Toure will be attending Valley Forge Military College this fall to work on his academics. Former UMass CB Corey Davis played there. Also interested are Villanova, Boston College, Penn State and Oregon. Image is by Marshall Wolf/Daily News staff. Vladimir Ducasse visits four NFL teams according to this post. CBS Sports picks Vlad as "Best Draft Value' as a OT. Another mention of ex-UMass RB Korey Davis at Liberty. Former UMass legend Marcel Shipp had a successful season with the Las Vegas Locos. "Among the players posing for photographs with fans, signing autographs and recalling the Locos' triumphant 5-2 campaign will be running back Marcel Shipp, who had 81 carries for 291 yards and 3 touchdowns and ended the UFL Premiere Season as the league's fourth-leading rusher. He spent seven seasons with the Arizona Cardinals, rushing for 2,197 yards and 11 touchdowns." Yesterday I pointed out an error in professionally written piece about BC linebacker Mike McLaughlin. I mentioned most people find it easy to pick up an error in someone else's work. Sometimes a lot of people miss something. Fifth year senior Tennessee QB Nick Stephens is looking to transfer to a FCS team. Another draft article about Vladimir Ducasse, this time he's not from a "small school", he's from a "tiny school". Mlive.com has an article on potential seventh-round NFL picks. It mentions BC's Mike McLaughlin and talks about his uncle UMass' Joe McLaughlin. Like most people, I'm really good a noticing other people's errors. My own not so much. Can you find the "finger failure" in the post about McLaughlin? The article also mentions JMU's Arthur Moats. Former Notre Dame QB Demetrius Jones is available to join a FCS/I-AA team. FCS team Missouri State will lose almost three scholarships because of academic progress problems. More on the promotions for the Spring Football game. UMass is doing something new for the Spring Game. Coach Morris and the Athletic Dept are trying to add some excitement to end of Spring Football. The Blog thinks this is good work and this should add some buzz to Spring Football. Tailgating starts at 4 p.m., UMass Spring Game at 7 p.m.
UMass Football will hold its first "Spring Fling" on Friday, April 30 at McGuirk Stadium. The team's spring football game will take place at 7 p.m. Tailgating gets underway at 4 p.m. There will be tons of giveaways, prizes and contests for the fans and students in attendance. Admission to the event is free so come on out and see coach Kevin Morris and his Minutemen. MassLive.com has an article about Vladimir Ducasse, which includes a number of links. The Sacremento Bee says the 49ers might take Vlad in the second round. Ducasse has just been named a Strength & Conditioning All-American. The CAA Spring Football blog has a bunch of new posts by players from Richmond, William & Mary, Maine and Rhode Island as well as the CAA staff writer. The Richmond Times-Dispatch notes the Spiders lost seven starters from the Richmond offensive and defensive lines. The SeasCoast ONline says New Hampshire is looking to solve offensive puzzles. The hazards of driving here in the great Granite State: check out this article. Key quote "It was difficult to assess the extent of his injuries at first, because his face was covered in deer guts, he said." A most excellent commenter pointed me to a column by Boston Herald sports blogger Danny Ventura entitled "Football Team of the Decade". Seven of the players have played for UMass or are currently on the roster. The total rises to nine if you count Ryan Izzo and Cory Eason. Some people say Delaware is guilty of Gridiron gouging. I spotted this over on the "Wizard of Odds" blog. Fans of the Kansas Jayhawks will need to cough up $105,000 over ten years to be assigned good seats at Memorial stadium. William & Mary, our first opponent for 2010, has a new mascot. The team nickname will remain "The Tribe". We have reached the second-to-last unit review for 2010. This time we consider the defensive backfield. Jeromy Miles-Walter Camp All-American, All-New England, First Team All-CAA, 47 career starts including all 36 games at UMass, third on the team in 2009 with 62 TT. Cory Davis- Started all 11 games in 2009, led team with 6 BrUps, 24 TT. Tory Esalomi RS SR-Played in all 11 games-0 starts, 3 TT, also returned kick-offs. I would think Viveiros and Thellen will be the SS and FS respectively. KeMon Bailey should return to his starting postion at one corner. Esalomi, Cozzo, Wilson and Carven are candidates for the remaining CB position. We do return four players who had starts in 2009. I need to see the RS FR play in the Spring Game to form any opinions on them. Despite the loss of Miles, I think the 2010 edition of the UMass defensive backfield should be pretty good. The unit needs to play every game and avoid meltdowns like Delaware and Hofstra. Pro Football Weekly has Vladimir Ducasse as a second round pick. 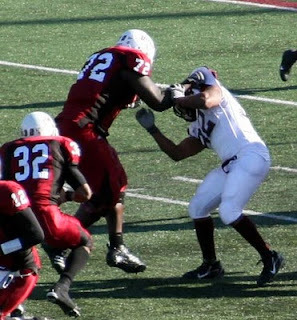 Former UMass TB Korrey Davis is getting a lot of work for Liberty in Spring Ball. The Virginia Daily Press has some thoughts on UMass' first opponent of the 2010 season, William & Mary. The Tribe had a terrific defensive year in 2009. "Ends Adrian Tracy and Sean Lissemore were the bookends on a unit that led the nation in rushing defense (61.1 ypg) and was second in scoring defense (12.1 ppg) and total defense (229.8 ypg). The Tribe led the CAA in scoring defense, rushing defense, total defense, pass efficiency defense, sacks and tackles-for-loss." Back on Friday, I published a link about Montana moving to FBS football. Part II from the Daily Interlake is here. Part III is here. Michigan's Spring game will the televised live on April 17th, 1:00 pm on the Big Ten Network. Dish Network's channel 429 may have the game. The amazin' Butler Bulldogs are going to the National Championship in Basketball. The Bulldogs had a great season in FCS football too. The Bulldogs went 11-1 and won their first ever post-season game. Liam Coen is on the roster of the Alabama Vipers arena football team. Two former Hofstra players are expected to make an impact at Idaho State. You remember former UMass assistant coach John Zamberlin is HC there. UCLA is the latest college team to try the "Pistol" offense. I'll save you the trouble of Googling it: the Pistol offense. More on the desecration of Michigan stadium. Hope everyone has happy and peaceful Easter with their family. 2010 UMass recruit Matt Campbell will sit out spring sports at Attleboro to rehab from a high ankle sprain. Montana is looking at jumping to FBS football in the near future. UNH's Sean Ware and Scott Sicko have NFL dreams. One of the most-linked-to college football blogs, "The Blue Gray Sky" (Notre Dame) is going silent. That blog is only about six months older than this one. Well, the Blog is glad to be out of March. It seems like it's been raining since February. I'm looking forward to sunshine, flowers and Spring Football. Go UMass! The Dallas Morning News says the Cowboys are looking at Vladimir Ducasse. Chris Zardas is looking forward to a chance at the NFL or the Marines. The New Hampshire Football Report says a top football combine for high school players is coming to New England in May. More posts up at the CAA's Spring football blog. Posts from the CAA blogger (march 30th and 231st) as well as Delaware QB Pat Devlin and Martin Parker (DL Richmond). Vandals hacked out the "M" at the 50 yard line at Michigan Stadium. Add Boof Bonser, RH pitcher for the Red Sox, to my list of favorite sports names.